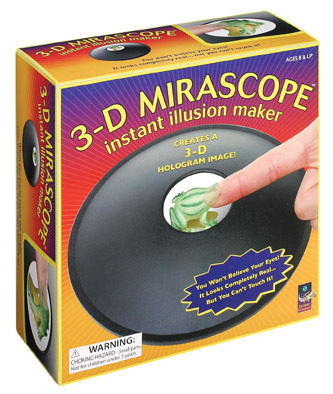 The 3-D Mirascope is an instant illusion maker. By placing a small object on the bottom of the mirror the Mirascope displays a floating 3D image! When you try to touch the image your finger goes right though it! Be the first to review “3-D Mirascope” Click here to cancel reply.